Lack of punctuality. If you arrive at the office later than the others at least once a week, this means increased risk of being among the first ones to be fired. Analyze the reason for your lateness and eliminate it: leave home earlier to allow time for traffic jams or go to bed earlier to avoid oversleeping in the morning. Mechanical execution of tasks. If you do the bare minimum when handling your assignments, you can’t really be considered an efficient employee. Instead you become dead weight stalling the growth of the company, which means you have no value. Try working with both your hands and your brain: optimize the process, for instance. If the task set before you is downright dull and useless, let your management know. A different type of task might arouse more enthusiasm and make you more productive. Working too slow. If you work in same conditions as the rest and yet take longer to complete your tasks, this is a reason to think about it long and hard. You are pulling back the company, which means you are the weak link that needs to be gotten rid of at first chance that presents itself. Try to identify the reason for you being so slow: is something distracting you, like social networks, mail, phone etc, are you not competent enough or are you just poorly organized? Do your best to fix the situation. Frequent mistakes. Everyone makes mistakes, but if mistakes become a regular thing rather than a rare occurrence, this is a wake-up call. Try identifying the reason – simple inattentiveness, low professionalism or lack of interest. No matter the cause, something needs to be done. Handling simple tasks only. If you don’t get any serious tasks, this means you are simply not trusted with anything important. Whatever the reason – your slow work, lack of competence or lack of initiative. At the office you are seen as a menial worker, low-qualified, low-paid and not much appreciated. Try boosting your own professional rating. Inability to properly organize your work time. If you never learnt to prioritize and solve your tasks in the required order, you will become the first candidate for firing. Analyze your work day and evaluate how important the tasks you completed were. Maybe you dwelled too much on the little things, leaving more important ones out of your scope. Make it a habit to ask your management which of the tasks on your list has the most priority. That way you will find it easier to organize your work more efficiently. Required to report on every step made. This suggests you are not trusted, maybe even suspected of being lazy or incompetent. Try to earn back the trust by proving you really are valuable to the company and are capable of handling responsible tasks. Taking frequent leaves. We all get sick from time to time and have problems that need to be dealt with, but not everyone chooses to do that at the cost of their work time. If your work comes with a fixed salary, asking your employee to leave often places you at the top of the list to fire. Try dealing with your issues outside of your work hours. If that’s not quite possible, try to keep your leaves to the minimum and suggest a fair solution – staying after work hours to compensate for it. Scheming and plotting. There are people that can’t live without the thrill of something scandalous brewing all the time. If those events do not happen on their own, such people are likely to create them on their own. No one likes schemers and clandestine justice fighters, as they are destructive by nature. If you are annoyed with something or there is something on your mind, make sure to say it straight. You are a “persona non grata” in the office. Surely enough, not everyone is destined to become the life and soul of the company, but if no one would talk to you and there is silence as soon as you cross the threshold – it’s time to do something about it. Is it possible you might be too conceited, judgmental, sharp-tongued, boastful? Try changing your attitude or … change your job. Love your job. You don’t have to go overboard on this one, just enjoy what you do. How to do it? Expand your knowledge using specialized books, video courses and professional forums. Experiment and participate in master classes and professional contests. Put in a request to enroll in training programs and participate in seminars. Become part of the company. The company goals must also become yours. Don’t keep to yourself, being an important and indispensable part of the company instead. Show initiative, suggest new ideas and optimization methods, don’t stay indifferent to what goes on at the office. Make sure to uphold the company’s status. Keep good professional relationships with your colleagues. We are not talking about being friends in the classic definition, rather than nourishing and maintaining a friendly work environment. It’s crucial not to become a source of scandals and conflicts, rather than someone the colleagues can unite around. Spend work time working. It’s unprofessional to deal with personal matters, check your personal e-mail, browse social networks and the internet during work time. If you absolutely need to keep tabs on your e-mail, checking for an important message, allow some time for it during your lunch break. Don’t bring personal life to the office. No matter how friendly, helpful, polite and communicative you might be, no one needs to know about your problems. You should also try to keep sick leaves to the minimum. It doesn’t mean you should be at work with high temperature, but make sure to handle your issues as quickly as possible. A perfectly acceptable option is working from home in case you are sick. Many jobs make this option very much possible. Expand your responsibilities. By showing some initiative and asking your management for more responsibilities, you will boost your professional value for the company. Ask to take part in a brainstorming session or a new project. Creative work will allow you to reveal your potential and earn extra points in the eyes of the manager. Don’t be afraid of new things. Being conservative stands in the way of your personal and professional growth. If your aim is to boost your own rating, innovation is your best friend. That way you will also be able to expand the boundaries of your professional expertise. Quality trumps quantity. Don’t try to do it all: pivot from multitasking to delivering quality work. Sort your tasks by their priority and handle them one after another. That way you will be able to do more and produce high quality results. Be consistent. If you succeed once, that means nothing, but if great results are something you always deliver, this stands for consistency. This is what makes you valuable as an employee. Analyze your work day and all the processes to work out a specific work strategy, unless you already have one. If you do, make sure you keep perfecting it all the time. Accept any change with dignity. The situation on the market changes frequently, so companies constantly have to adapt to the new reality. Unfortunately, those changes don’t always make the employees happy. Try doing your best to adapt without being negative about it. In addition to accepting the novelties, make sure you take advantage of them. As a matter of fact, meditation is a great way to relieve extra pressure. We are pleased to offer you an easy-to-use program that makes it possible even for a beginner to master the basics of meditation. Boost your own productivity. Explore most popular methods of increasing productivity and implement them. Try becoming more efficient without overworking. In most cases it is very much real. Optimize your work day as much as you can in order to boost the quality of your work. Don’t keep silent about your work results. If you think the management is aware of the amount of work done by every single employee, you are mistaken. In most cases, the management does not concern itself with those things too much, so it’s up to you to reveal the truth about your true efficiency instead of becoming a quiet office underachiever. Be proud of your achievements, but try not to overdo it. Try being the best at what you do, making a noticeable contribution to the operation of the company. But that in no way means feeling and acting like a demigod. Building walls between yourself and your colleagues is totally unnecessary. 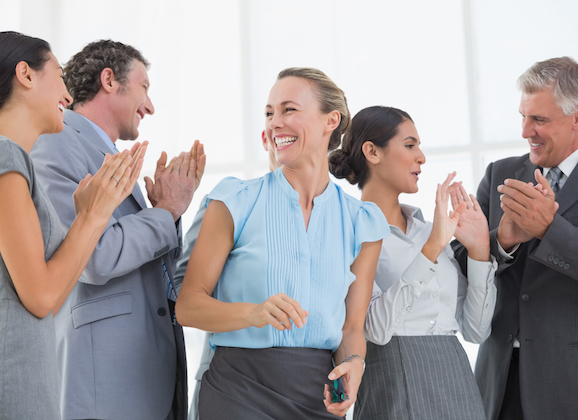 Make sure the praise you get from your colleagues is well deserved and sincere. Learn to think first, act second. Making mistakes is how you pay for acting on a whim. Learn to think first and then make decisions, emotions aside. Don’t be afraid to be late, keeping in mind the expression: “the slower you go, the farther you get”. As you can see, it is quite simple to evaluate your own strength and potential on the job. In the same way it’s easy to boost your professional rating. All that’s needed is your very own desire to do so.